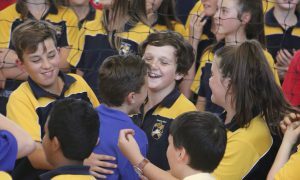 A deep commitment to the importance of student wellbeing has been another hallmark of the school’s core aims since its earliest days. The school recognizes that learning and achievement can flourish in an environment where students feel comfortable, safe and where they are each recognized and valued as individuals. Our school has long celebrated the uniqueness of each student. We hold the view that a key goal of the school is to develop the talents and strengths of each individual through a clear focus on the needs of each student. We recognize that a key quality of well-rounded individuals is their capacity to make sound, ethical and responsible decisions in all aspects of their lives. This is a capacity we seek to develop in all our students. We also recognize that most powerful learning occurs through error and problem solving. We therefore regard error as an opportunity for learning through which we can seek to grow and develop. While the school sets boundaries and expectations, we also believe that student self-management is a key principle in creating a healthy and positive culture. It is important that students make decisions based on a set of positive core values rather than fear of consequences. We therefore seek to create an environment in which students make positive decisions. Our school has based its approach to welfare on the premise that care of students is a responsibility of all members of the school community. Students understand that the right to enjoy the positive culture of the community comes with real responsibilities and expectations. Students are shown that accepting responsibility for their actions and inactions is a key element of personal growth. As members of the community, they have a responsibility to themselves and others. We aim to show students that through our individual decisions we create and influence the quality of our collective community. Throughout a student’s time at the school we consistently refer to our core underpinning values as the framework for how we make decisions about our behaviour. Student welfare is a primary concern for all staff at all times. All classroom teachers have a mutual responsibility for promoting learning and student welfare. Indeed it is our view that the two aims are fundamentally interconnected. Staff care for students with an approach combining objectivity, compassion, consistency and equality. In determining how to manage situations we are always mindful of what is likely to promote learning and personal growth. Staff set high expectations for students in all areas of their decision making. In addition, most teachers are involved as tutors, taking particular interest and responsibility for the welfare of a small group of students, typically at a year level in which they teach. 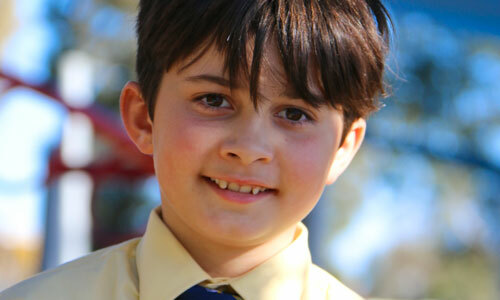 This small group tutor structure allows close and individual attention to the learning and welfare of each student. Furthermore, a structure of Year Level Coordinators and the Director of Students take additional leadership of student welfare and development. They are supported by access to counsellors and a range of student services.